When Ghanshyam ventured into vermicomposting in 2013, nobody imagined that this small initiative would change his life one day. 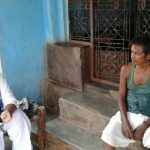 Hard work and a good guidance can make all the difference in life, as in the case of Ghanshyam Singh, a farmer from Jhanji village, Jharkhand. Until nearly four years ago, the smallholder often worked as a labourer for a living. 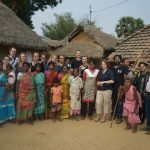 On his half an acre of land, he grew some paddy and maize during the Kharif season (July –October) and a little wheat during Rabi (October to March) season. But his income was so low that he could hardly make ends meet. He didn’t own any livestock and was completely dependent on chemical fertilisers and pesticides for farming, which slowly became unaffordable for him due to rising prices. 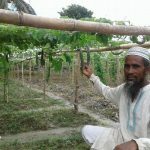 Practicing mono-cropping and the continuous usage of chemical fertilizers and pesticides adversely affected his land’s soil, causing low productivity. Living from hand to mouth, he almost planned to migrate. Ghanshyam’s life began to change in 2013 after he attended a programme organised by Welthungerhilfe’s partner Pravah held in his village, where he learned about integrated farming system and several techniques such as intercropping, System of Wheat Intensification (SWI), System of Rice Intensification (SRI) as well as preparations of bio pesticides and vermicomposting. He found the idea of preparing organic manure quite appealing. But he was initially apprehensive as he didn’t know how it to start it, since he didn’t own any cattle. 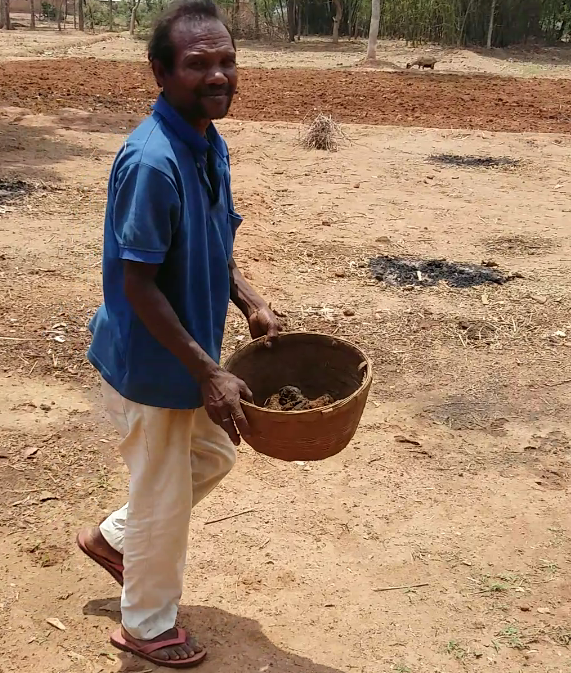 Clarifying his doubts, Pravah’s project staff informed him about the ways to do vermicomposting, for example by collecting cow dung scattered across the village. And this is exactly what Ghanshyam did. Every morning he collected cow droppings that fell on the streets or in open spaces and gathered in the courtyard. With the support from the project, he got a vermi bed installed, a base required to put the waste for the preparation of manure. 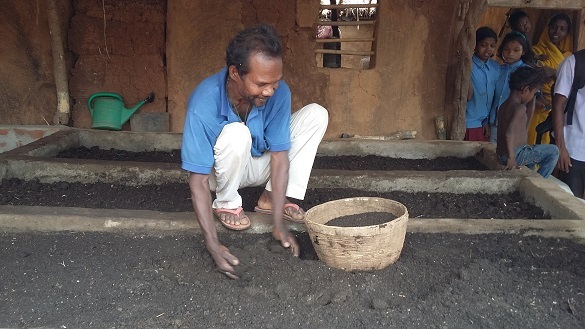 “Once I started manufacturing vermicompost, I never looked back,” he said. 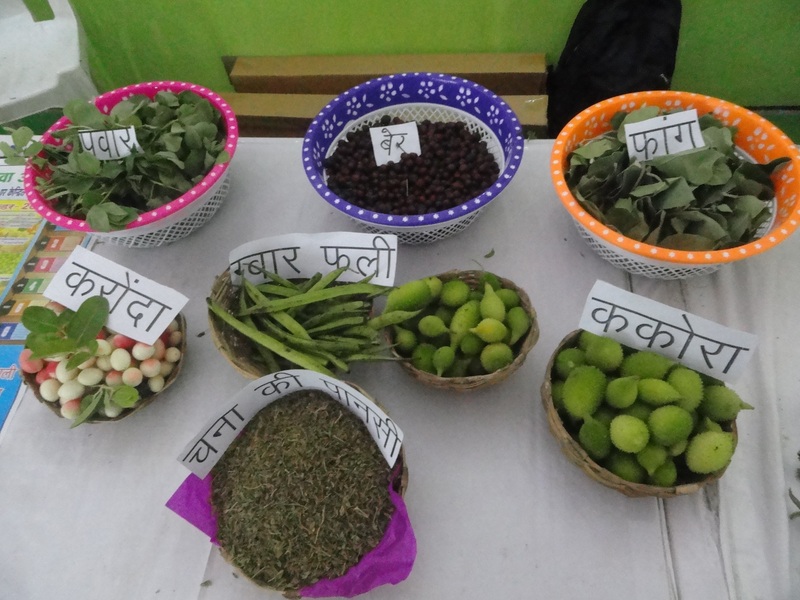 By successfully adopting integrated farming, Ghanshyam’s dependence on market for farm inputs has been reduced. 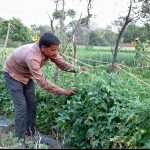 He doesn’t use of chemical fertilisers and pesticides anymore and this has helped reduce the cost of cultivation and improved his farm’s soil health. His production has increased by nearly 40 per cent and so is his income. Last year he received a training on goat rearing under the SIFS programme. He was also given two goats to provide an alternative source of income. With the support from Farmers Cooperative, he received a cow too. 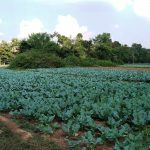 To feed the livestock, Ghanshyam now cultivates organic fodder (azolla) on five decimal of his land.